We are a unique name in the industry to supply our prestigious clients an exclusive range of Bush Coupling. Supplier & Distributor of a wide range of products which include Bush Couplings. Our clients can avail from us quality range of Bush Type Couplings which is simple and compact in construction. 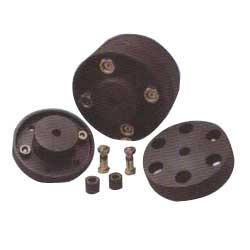 These transmits torque through high tensile steel bolts and the highly developed rubber compounds used in bushes is used to absorb shock loads, torsional vibrations and slight misalignments. Available in a range of 26 sizes these offer power rating from 0.81 Kw to 2069 Kw at 100 rpm. 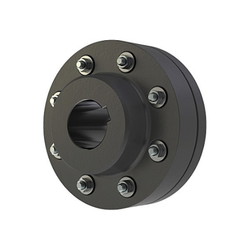 These coupling are used where there is requirement to compensate axial and angular mis-alignment. Manufactured from diameter 3" to 24" with High torque transmission capacity up to 23780 Nm in 20 sizes. These couplings permits drive in either direction also. We manufacture all type of coupling and bushes as per requirement .